And while I was there, of course, the magazine of the book world was The Bookseller... The Bookseller and I would be sort of among the last to see it, and I read it week by week. God, it was serious. So finally, I wrote to the Editor and said, you know you don't have a comic column. Don't you think that The Bookseller would do better if it had a comic column every week? I would like to write such a column for you. He wrote back and said, come and see me. Bring some of your comic columns. I wrote six of them, and since I was working, in fact, for Blackwells, Blackwell became Brightfount and my bookshop was Brightfounts... The Brightfount Diaries, and my pseudonym was not Aldiss, but Pica, a small type. OK. I went up to see the Editor, and that man could speak more slowly than any man I've ever met, rationing himself to one word every ten seconds. But nevertheless, a very nice and intelligent and sympathetic man, who said, 'Well, show us… show us some of these Brightfount strips and if I think they're funny, we'll have them'. And so I gave him those six strips and in no time he wrote and said, 'Brian, go ahead'. And so, I was published first of all, really, in The Bookseller as Peter Pica of The Brightfount Diaries. And this is an easy way to slip into being a published writer, because it wasn't so long. I suppose I'd been doing this for about a year. I used to write them at the weekends. 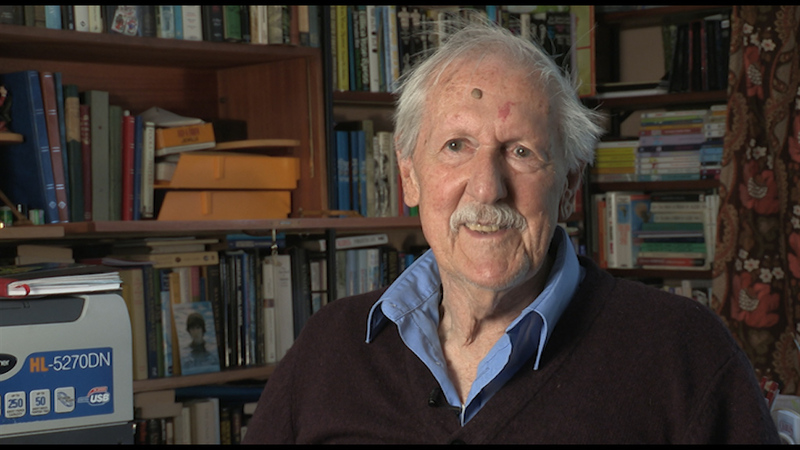 I received a very nice letter from Faber & Faber, saying, 'Dear Mr Aldiss, We all enjoy The Brightfount Diaries. We wondered if you'd care to make them into a book'. Make them into a book! You know, I didn't have to submit anything – they asked me! Well, I mean, there's the root of arrogance for you. 'Yes. I would like Pearl Faulkner to illustrate it'. Now, Pearl Faulkner was a woman, who as far as I knew, illustrated only in women's magazines. So, this I said to Faber, and they said, oh yes, jolly good. We'll make you an appointment to go and see her. And so I went to see Pearl Faulkner. She was a bit sort of, high-flung, but agreed and she did very nice illustrations that went into the book, and wasn't that wonderful? Well, I could now think of myself as a writer. It was only a fortnight before publication that I got the equivalent of stage fright, and I thought, oh God, what if they don't laugh? Thank God they did laugh, and it did very well. And so, I became a Faber author. And that really was... well, the beginning of something or other that still goes on now. Title: Creating "The Brightfount Diaries"